Vancouver Jewish community member Ben Ratner steps back into his acting boots for his latest, ground-shaking film, Ganjy, premièring at this year’s Vancouver International Film Festival, which runs Sept. 29-Oct. 14. Ganjy, directed and written by Ratner, is centred on the character of Ganjy (played by Ratner), a former boxer who is in bad shape, suffering from dementia pugilistica and living in squalor. With the support of his former-boxer friends, he endeavors to survive and lead a dignified life. A large part of the inspiration for and foundation of Ganjy was Ratner’s encounter and interaction with his hero Muhammad Ali at the screening of the film Facing Ali in 2009, along with Ganjy co-star Aleks Paunovic. They both had the opportunity to spend a considerable amount of time with Ali and the boxer’s inner circle. “It was just a mind blowing, life-affirming experience for Aleks and I,” said Ratner. Ganjy was filmed in February 2016, and Ali passed away four months later. 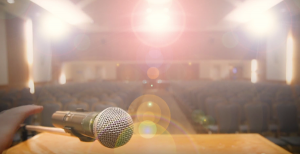 Ratner has launched an Indiegogo crowdfunding campaign to cover the basic costs of filming – all cast and crew took deferred wages – and anything raised over the $15,000 goal will be split between the promotion of the film and entry into notable film festivals, and the Muhammad Ali Parkinson’s Foundation. 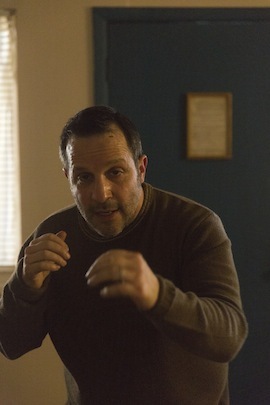 “In Ganjy, Ben Ratner’s exquisite performance as the eponymous lead character tenderly but powerfully reminds us of the undeniable side-effects of the boxing trade,” said Pete McCormack, the award-winning writer and director of Facing Ali and I Am Bruce Lee, who saw Ratner’s short film in an advanced screening. The three co-stars of Ganjy – Paunovic, Zak Santiago and Donny Lucas – are all experienced actors and former amateur boxers. Paunovic plays Marko, who quit boxing, opened a business and became “the Perogie King”; Santiago plays Jorge “El Matador” Zavala; and Lucas plays Cecil Livingston. Ratner also spent time in the amateur ring as a youth, winning gold at the 1981 B.C. Winter Games and competing in the Canadian Junior Championships in 1982. The latter fight led to a concussion at the hands of Howard Grant (a future Olympian), forcing Ratner into retirement. Ratner thinks that Ganjy will resonate with the Jewish community. Filmed over two long days in a questionable motel in Surrey, the cast and crew, including director of photography Pieter Stathis, assistant director Gordie Macdonald, production designer Josh Plaw and Pantages worked together to bring the film to fruition. In true independent filmmaking style, Ratner and co-star Paunovic spent a night in the motel guarding the equipment and feeding the cockroach, which guest starred in the film. Ratner worked with his long-term mentor and acting coach Ivana Chubbuck in preparation for his role as Ganjy. Chubbuck is known for her bestselling book The Power of the Actor and for working with Sylvester Stallone on his ultimately Golden Globe-winning, Academy Award-nominated performance in Creed. Among Ratner’s many accomplishments are 100-plus film and television credits, as a multiple-award-winning actor, writer, director and producer. As but one example, at the 2013 Leo Awards, Ratner’s Down River won for best director and best feature film screenplay, and the film garnered nine wins and 12 nominations, including best world showcase feature, at the 2014 Soho International Film Festival in New York City. Ratner has starred in numerous feature films that have played at top festivals worldwide and has had various types of roles on North American TV shows. Wonder is set for release in April 2017. Also keeping Ratner busy is his coaching work. He has run his own studio in Vancouver, Haven, for more than 10 years. The goal is to eventually develop Ganjy, which runs 14 minutes, into a feature-length film. But the immediate future is focused on the Indiegogo campaign and promoting the film. Ganjy screens at VIFF on Oct. 2 and 8, preceding the film Marrying the Family. The full festival schedule and tickets are available at viff.org. To contribute to the fundraising campaign, visit indiegogo.com/projects/ganjy-film. Alice Howell is a graduate of the University of Otago, New Zealand, with a BA in film and media studies and a BSc in psychology. She has worked in the entertainment industry as a performer for 12 years and, most recently, as a writer and director. She lives in Vancouver, where she counts herself lucky to be one of Ben Ratner’s acting students at Haven Studio.